Application: Designed for small block Chevy engines 283, 305, 327, 350 and 400 manufactured before 1986. Description: Price is for the pair. Polished finish. 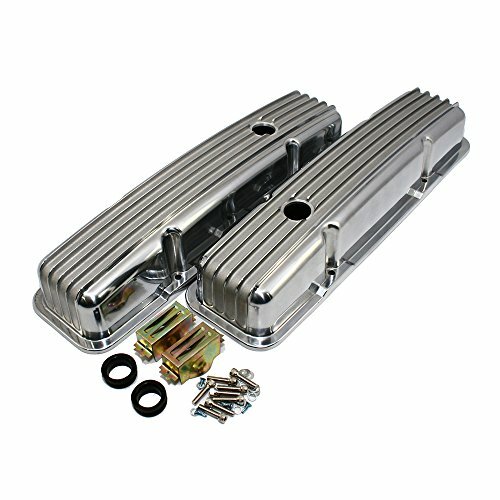 These valve covers measure 3" for inside height in the center and 2.5" inside height on the ends. 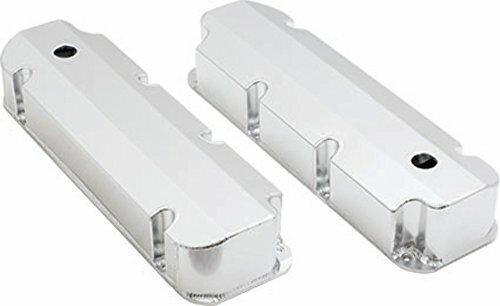 Overall height is 3.5"Looks great on hot rods, muscle cars, camaro, nova, chevelle, 55-57, pickup truck, corvette, etc. 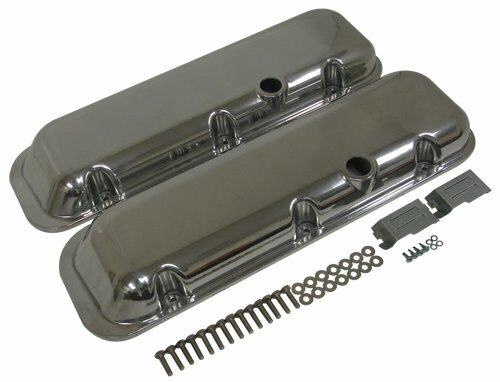 These are the best quality valve covers we have seen in this style! 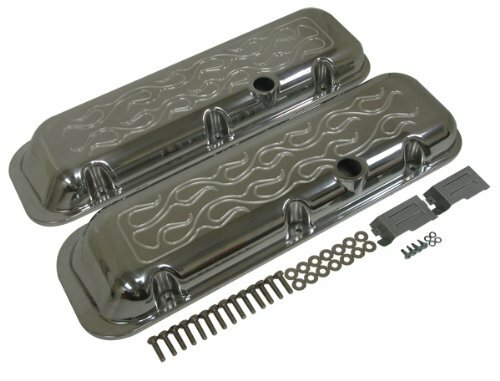 Valve covers come complete with baffles and screws as pictured. Included are the valve cover bolts (chrome allen head with washers). Included are 2 grommets for breathers. Very heavy aluminum (not light like others out there). Excellent quality gasket rail - will seal nicely. Note: Package without valve covers gasket! 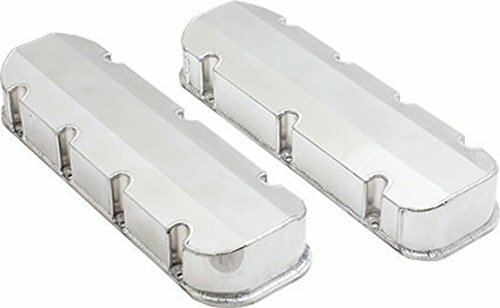 This is a new set of classic finned style aluminum valve covers. Applications include small block Chevy engines 283, 305, 327, 350 and 400 using late model Vortec or TBI center bolt style cylinder heads. Short style, great for tight spaces and stock valve train setups. 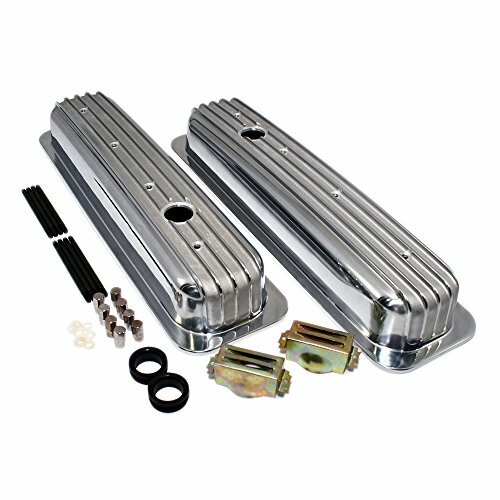 Chevy big block flamed polished aluminum valve covers fit 1965-95 Chevy 396-427-454-502 big block engines. Comes with two oil baffles and stainless steel bolt kit. These are the short style and the rear corner of each cover is slanted for power brake clearance. Height: 2-7/8". 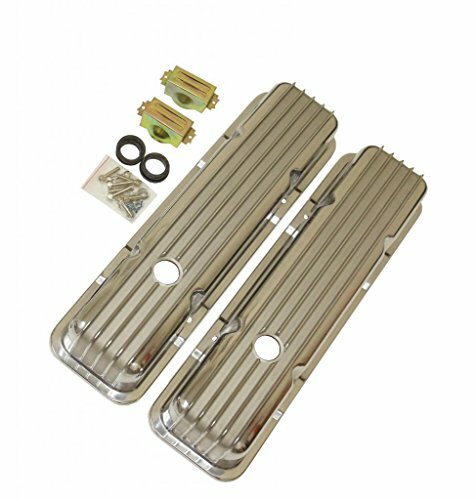 Chevy big block smooth polished aluminum valve covers fit 1965-95 Chevy 396-427-454-502 big block engines. Comes with two oil baffles and stainless steel bolt kit. These are the short style and the rear corner of each cover is slanted for power brake clearance. Height: 2-7/8". 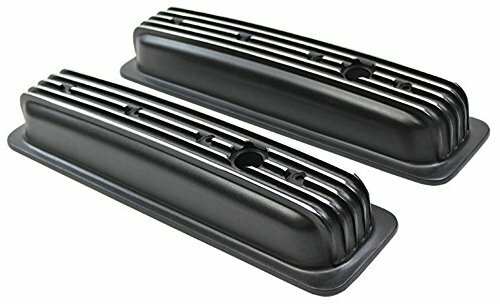 1987-99 Chevrolet black aluminum finned valve covers set for SBC Small Block Chevy 305-350. Fits years 1987-1999. 3-1/4" tall with baffles and one (1 hole) each side. 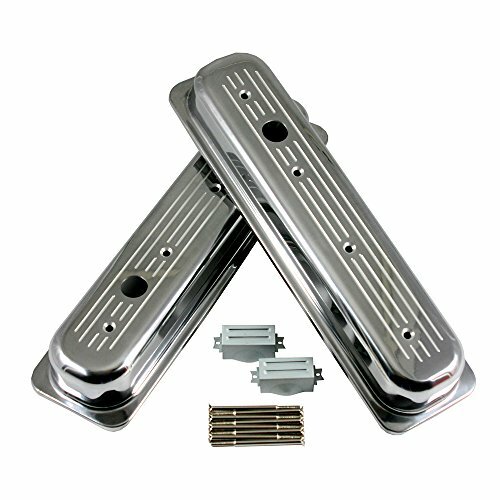 Quality polished aluminum construction with finned design.